Ahhh Jo Malone, the shop that couldn't be more aesthetically pleasing to me with its gorgeous combination of cream and black interior, sharp lines and neat edges! For a person with a bad case of OCD and likes things in order....it's an absolute dream! 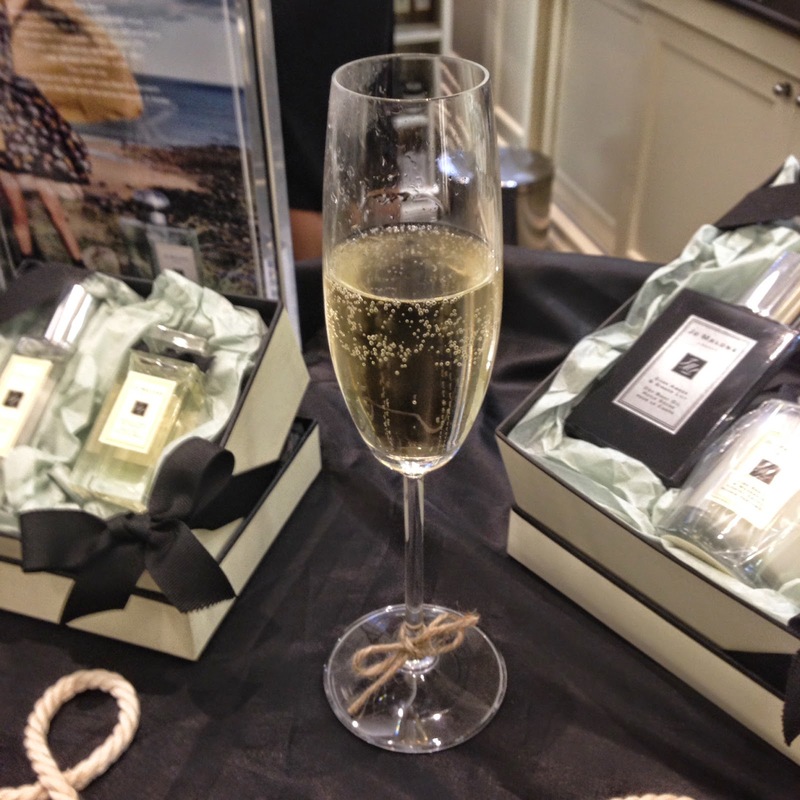 I do like a little bit of Jo Malone in my life every now and then. 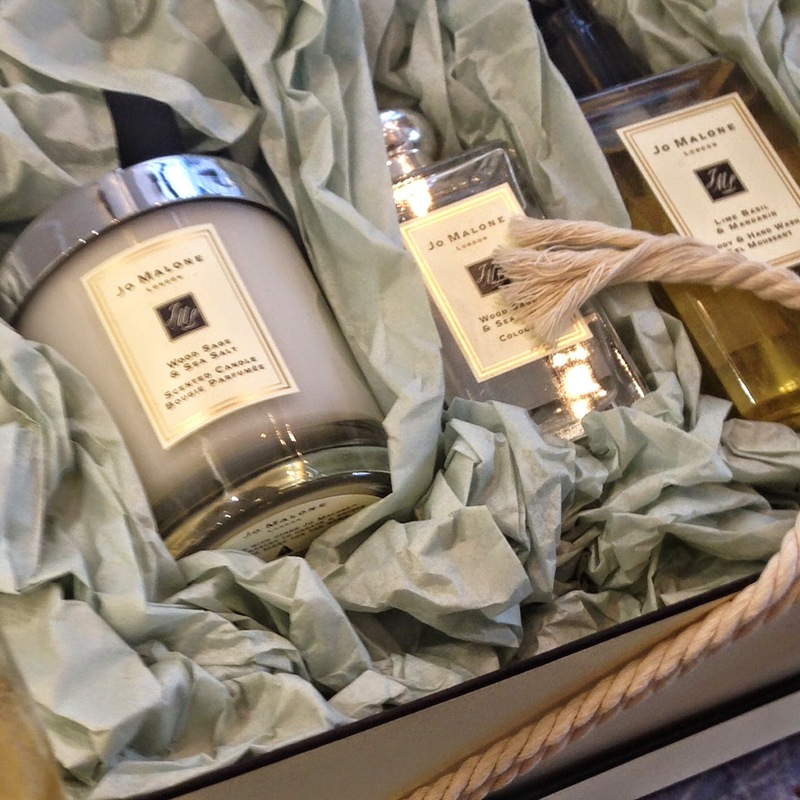 The candles are gorgeous, albeit don't last as long as some of their cheaper counterparts, but who cares?! really. I also have a penchant for their hand wash in my kitchen, an expensive habit to have I know, but we can blame my Mum for getting me hooked on that! The bath oils, particularly in Nectarine Blossom and Honey are also very good. I'm not normally too keen on their perfumes as I find them very overpowering however I did really enjoy (and finish!) a bottle of Peony & Blush Suede recently. 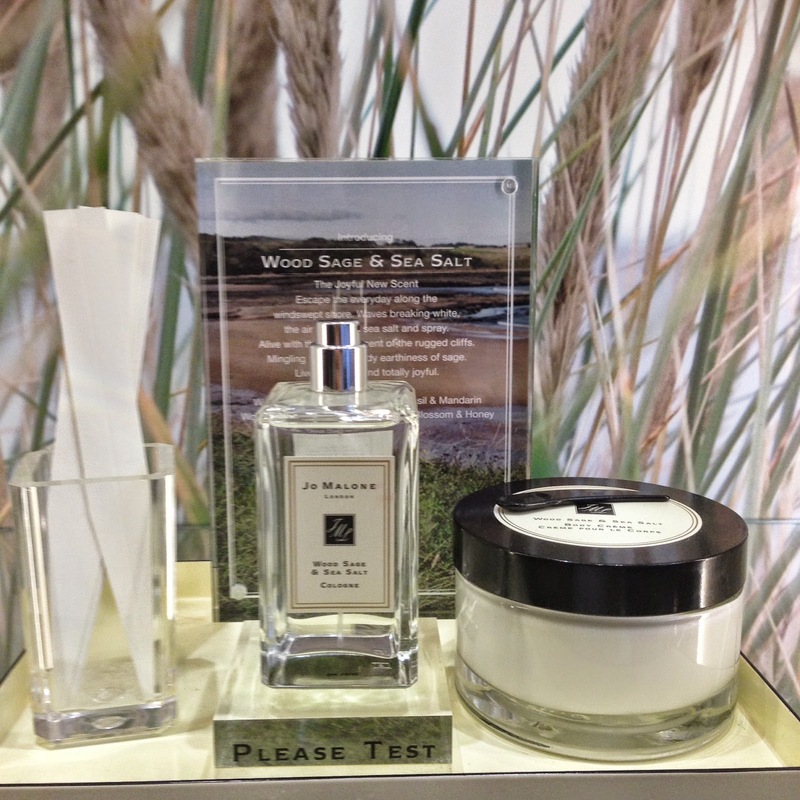 I was recently invited to the launch of the newest addition to Jo Malone's perfume range - Wood Sage & Sea Salt. Myself and my partner in crime, Sian went along for the evening to experience the new perfume and I have to say, I was rather impressed! On arrival we were presented with a glass of champagne and a piece of sea salt fudge (FYI there were subsequent pieces of fudge guzzled later on!). 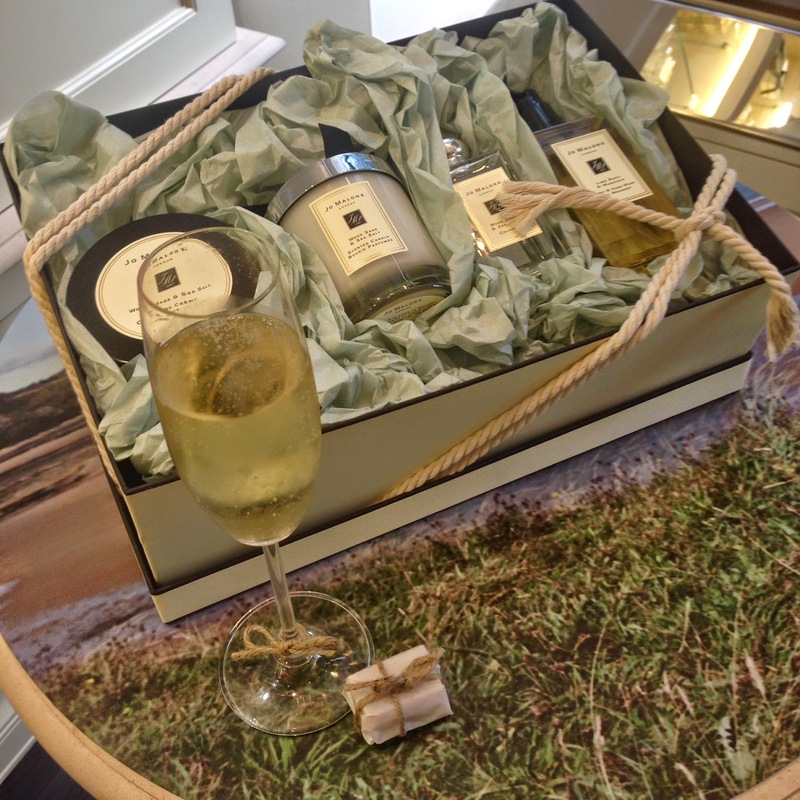 We were also given a rope bracelet that had been doused with the new scent. Nice little touch! Now onto what it actually smells like. Definitely a unique scent and nothing like anything else I've ever smelt before. However it's very addictive and very wearable. I'd say it's more of a day perfume, something you'd throw on at the weekends when you're not really doing much but still want to smell nice. It's fresh and will appeal to those of you that enjoy fresh, crisp scents. It does have a very slight musk to it on the dry down though and I like this. The way Jo Malone describe it is very accurate. The base note is sage and probably what you initially smell along with the sea salt, which is the heart note. The top note is ambrette seeds (say what?! for those of you who didn't have a clue, just like me, they provide a woody musky note!) They also recommend layering it with the likes of Peony & Blush Suede or Nectarine Blossom & Honey, I'm excited to try both of these. ooooh I still haven't purchased yet...I'm going to get it at Heathrow next month! Def get the Peony & Blush Suede - it's gorgeous! it mixes really nicely with this one too apparently!